Some people say civilisation after a zombie apocalypse will go back to The Stone Age. Nobody tidies up or collects the bins. The electricity keeps going off. There are dead bodies piled up in the streets. It is actually more like the 1970s. I guess, I'm just not the right audience for this book. 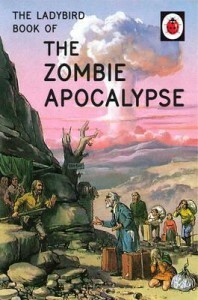 Or really any book about zombies.